We all need a break from city life sometimes, if even just for a few hours. Our day trip guides highlight all of the gems within a short drive from Boston. 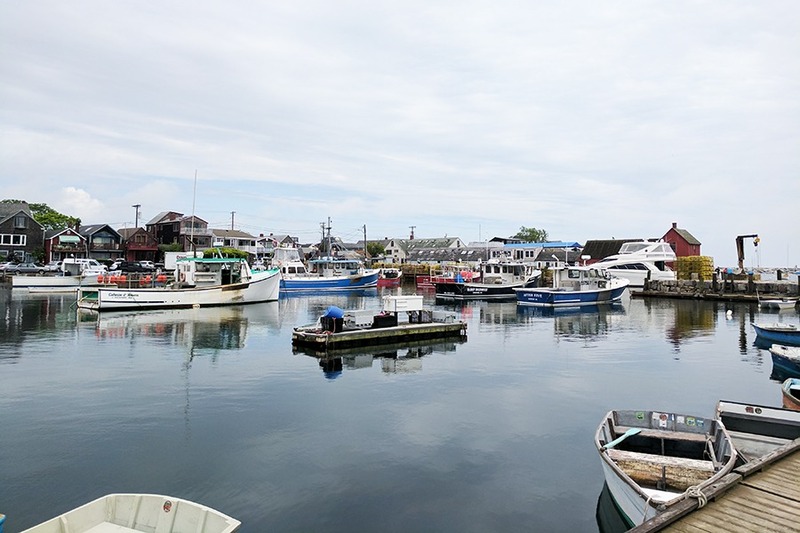 Here, we explore Rockport. Set out early to make the most of your trip, and aim to cross the Tobin around 8 a.m. There’s free parking at Rockport’s Blue Gate Meadow Parking Lot, and from there, a shuttle takes folks on the short ride to downtown. Tickets are $1 per person each way. If you’re feeling adventurous, you could take the time to scope out meter parking closer to town. Most charge $1 per hour. Arrive to the main drag around 9:30 a.m., only to be transfixed by Rockport’s world-famous landmark: Motif No. 1. The red fishing shack at the end of Bearskin Neck is thought to be the most-painted building on Earth. It embodies the spirit of coastal New England, and has served as inspiration for Cape Ann’s artists for more than a century. Don’t worry about snapping Instagrams right away—you’ll be able to see the landmark from all angles later in the day. 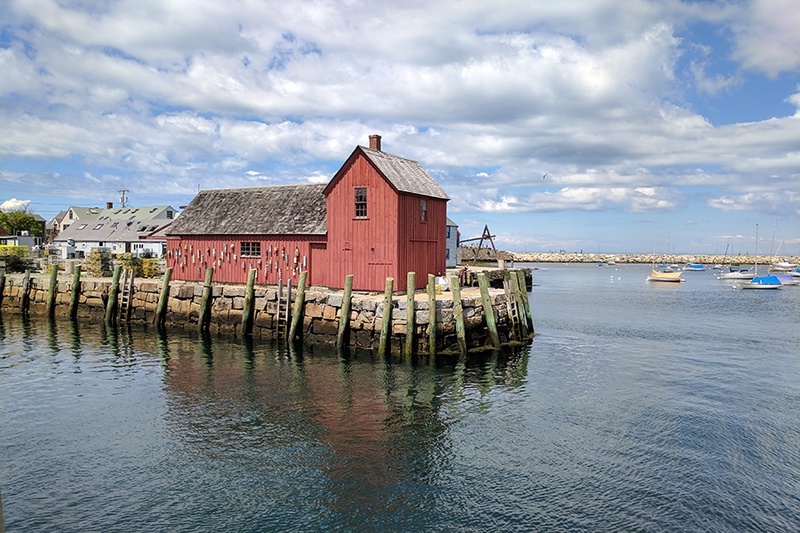 Get the complete history of the building (it’s a fake, you know) and Rockport’s storied art colonies by taking a free guided walking tour, courtesy of the Rockport Cultural District. From Mondays through Saturdays during July and August, the one-hour and 15 minute tours kick off at 10 a.m. in Dock Square. 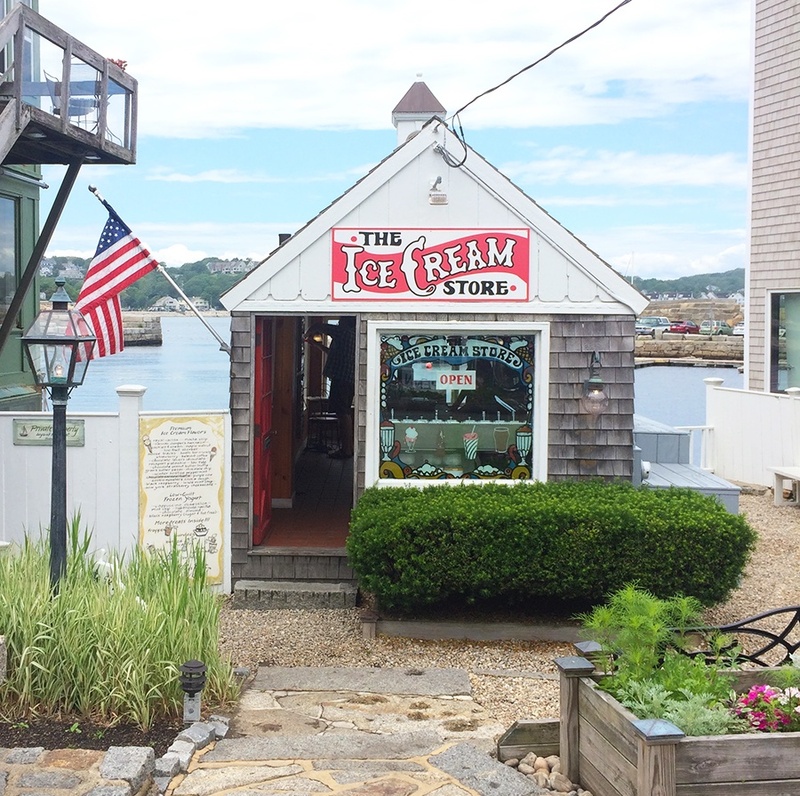 After a healthy dose of history, duck into some of the shops the tour passed by on Bearskin Neck. We particularly like the penny candy in the delightfully oldfangled Bearskin Neck Country Store. For more modern souvenirs, peep the one-of-a-kind hand-printed t-shirts at One Ocean One Love. The call of lunchtime will reel you in from admiring the shops’ nautical bric-a-brac. Head back down Mt. Pleasant Street to Hula Moon, a quaint Hawaiian-themed cafe overlooking the water. You’ll be charmed by their gingham tablecloths and mismatched chairs, then satisfied by their ultra-fresh sandwiches and wraps. Our go-to? A chicken and pineapple sandwich with shaved ice to wash it down. Make sure to arrive before 2 p.m., which is closing time for the tiny cash-only establishment. Top off your sandwich with a scoop or two from the adorable little building known as The Ice Cream Store. Follow our lead and order Low Tide—a rich blend of mocha, almond, and fudge—in a cone, then devour it on the seaside patio out back. There are two-options for post-lunch fun: If you’re enchanted by Rockport’s picturesque downtown, take this time to pop in a few more gift shops. If you’re ready to try something new, hop in the car to visit the Paper House, which is about an eight-minute drive from the parking lot. For the most part, the museum is exactly what it sounds like—a house made of paper. Its owner, Elis F. Stenman, created his home’s walls, doors, and furniture entirely out of varnished newspaper. Somehow, the place has remained standing since 1922. Tours are $2. There’s only one place to go for dinner: Roy Moore Lobster Co. Nestled between two small weathered-shingle buildings on Bearskin Neck, the no-frills Rockport mainstay dishes up some of the best boiled lobster in town, and with a BYOB policy to boot. Though there’s another Roy Moore location in Dock Square, we recommend experiencing the bustling scene on the water. Wind down with one last stop: Halibut Point. Get in the car once more to reach this state park along the coast. There, you can walk off your dinner on one of its short trails, or drink in more ocean views from a rocky vantage. If clouds haven’t rolled in yet, you should have a clear view out to the Isles of Shoals in the waters of New Hampshire. For one final blast of salt air, catch the sunset on your drive home by stopping at Manchester-by-the-Sea’s Singing Beach, just off Route 127.